so every child can learn to read. 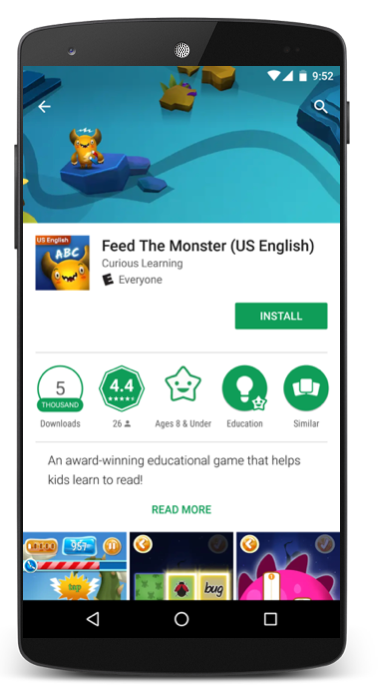 We're building an app to let children learn to read, and we're creating an ecosystem to tap existing resources and drive innovation through A/B testing. Here's what we're working towards. 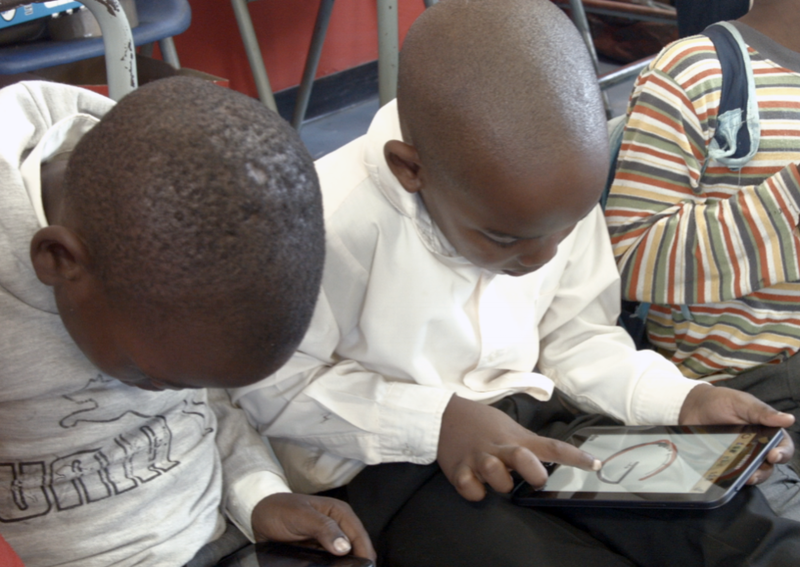 Kids play a mobile app that adapts based on their learning level and style. The app draws on four kinds of learning content: activities that kids undertake to explore and learn, interfaces to find these activities, personalization that picks the best content for each child's learning, and measurement that allows personalization algorithms to optimize learning outcomes. An A/B testing platform lets researchers and developers deploy randomized experiments across the personalized app to test the effectiveness of new content and direct development for the greatest impact. A localization platform lets individuals, NGOs and governments adapt the pedagogy, language and graphics of learning content to reach new users. An assessment interface lets researchers, educators and policymakers use automated assessment data to improve formal education and test innovations outside our platform. We work with distribution partners to make sure that every parent with smartphone access knows about our platform. Governments and NGOs can improve education and economic outcomes by sharing it. Phone manufacturers and operators can improve profits by pre-loading it on their devices and training their distribution networks. Employers can share it as an employee benefit.